IT HAS COME TO THE ATTENTION OF GOVERNMENT THAT DURING THE PERIOD 13TH TO 15TH NOVEMBER 2010, VARIOUS ACTS OF VIOLENCE WERE PERPETRATED IN KOIDU. THE POLITICAL PARTIES REGISTRATION COMMISSION (PPRC) WHICH WAS MONITORING THE POLITICAL SITUATION IN ACCORDANCE WITH ITS CONSTITUTIONAL AND STATUTORY MANDATES, ISSUED A REPORT ON 22ND NOVEMBER 2010 WHICH IS BEING CONSIDERED BY GOVERNMENT. GOVERNMENT WELCOMES THE ACTION OF THE PPRC WHICH IS A DEMONSTRATION OF THE EFFICIENT FUNCTIONING OF THE DEMOCRATIC MACHINERY OF THE STATE. 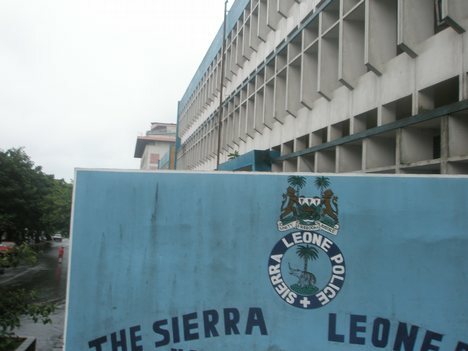 BY VIRTUE OF ITS LAW ENFORCEMENT MANDATE THE SIERRA LEONE POLICE FORCE HAS MOUNTED INVESTIGATIONS ON THE SAID INCIDENTS AND IS EXPECTED TO PURSUE THE MATTER TO ITS LOGICAL CONCLUSION. HOWEVER, THE POLICE MUST BE GIVEN ADEQUATE TIME TO CONDUCT THESE INVESTIGATIONS WITHOUT UNDUE PRESSURE AND INTERFERENCE. GOVERNMENT VIEWS WITH DISFAVOUR ALL ACTS OF VIOLENCE THAT THREATEN THE PEACE AND SECURITY OF THE COUNTRY AND PERPETRATORS OF SUCH ACTS REGARDLESS OF POLITICAL AFFILIATION WILL FACE THE FULL FORCE OF THE LAW. GOVERNMENT WISHES TO ASSURE THE GENERAL PUBLIC THAT IT REMAINS COMMITTED TO THE MAINTENANCE OF LAW AND ORDER, DEMOCRATIC PLURALISM AND THE RULE OF LAW IN SIERRA LEONE.